A little birthday dinosaur for Harry who is 2 today. Image from DigiStamp Boutique. 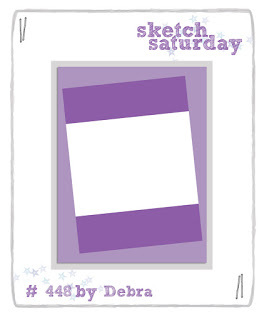 It's the 5th Saturday of the month and so we have an open week on the Sketch Saturday challenge- you can use any sketch from weeks 215-460. There is also a GDT call this week, so pop along to the blog to find out more. The challenge is sponsored by Lemon ShortBread, an Etsy shop selling digistamps and colouring pages. One lucky winner will get 3 images of their choice. 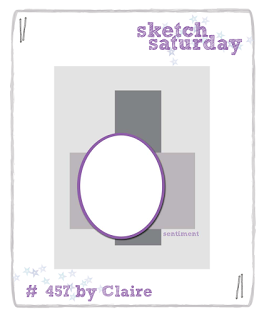 I have used sketch #448 for my card along with the 'Bus Stop Girl' image. Ok, I made even more Easter cards.... I have to admit to being addicted to spring type images and Digistamp Boutique released another set (sketchy chicks) that I just *had* to buy and use. Final (?) four Easter cards for 2017? Again all four use DigiStamp Boutique images. The first two are images from the cute chicklets set. This is a 2017 release of an Easter banner. And this one from the Sweet Birdie set. Hope you are not getting bored of my Easter cards! I do like Easter- an excuse for cute images and/or bright colours! These two use DigiStamp Boutique images from the Happy Easter set. A batch of Easter cards to share today. All these use DigiStamp Boutique images and papers from Tiger. A cutie that was part of a chicklets Easter set a couple of years ago. Can't beat a Chibby the duck image at Easter, can you? And finally a spring chicks image released this year. I made two 'Big Hugs' cards with Tilda images I found in my stamped stash. The papers are from the Red Nose Craftanoon edition of Mollie Makes.